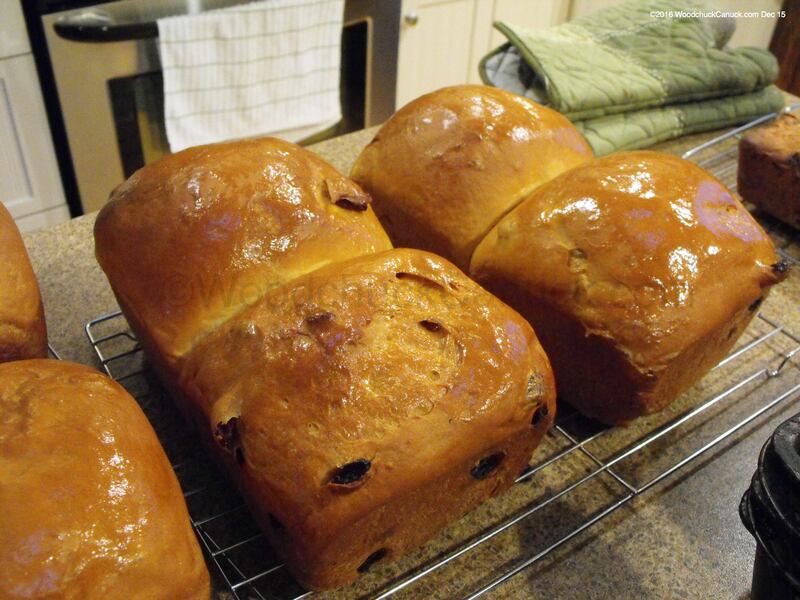 Trying a new raisin bread recipe I found on Facebook by Troy Croucher. 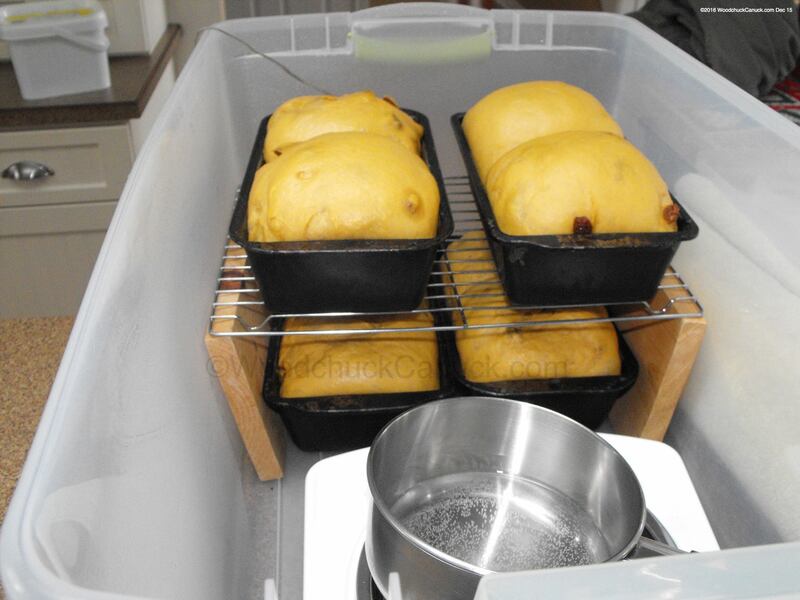 The first part of the recipe requires the making of a slurry of some of the ingredients. Something I never did before for bread making so I was curious to try it. I followed the recipe just as shown. I mixed the slurry with a paddle for 5 minutes in a KitchenAid mixer. Then switched over to a hook attachment and proceeded to add one cup of flour at a time until I added a total of 8 cups of flour. Then I let it mix for another 5 minutes, with each minute stopping to pull the dough down that had been climbing the hook. 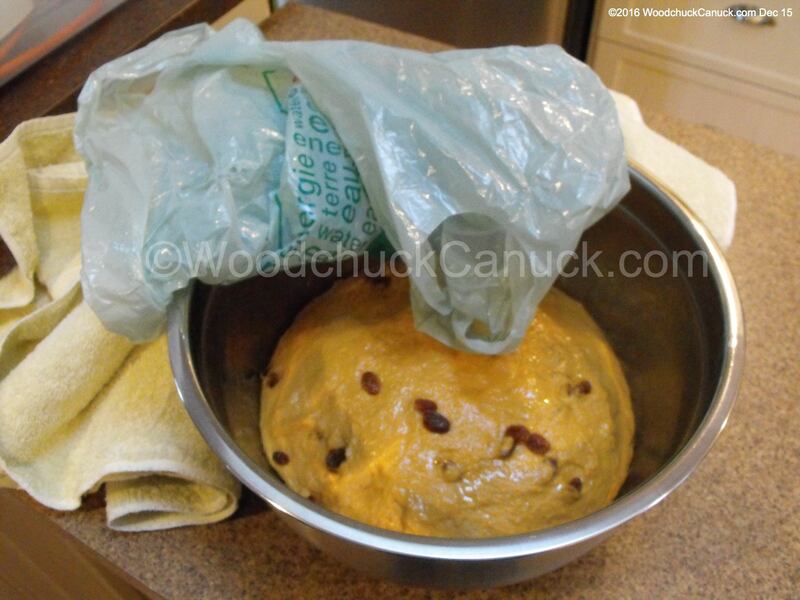 I then turned the dough onto the table and kneaded it 5-6 times, then I started adding the raisins. You might not think 3 cups of raisins will fit but they do. I did not prep the raisins either with a pre-soak like I would normally do for dried sultanas. After an hour of resting near the wood stove I punched down and let it set for another 20 minutes. Now its time to divide it up and pan it. 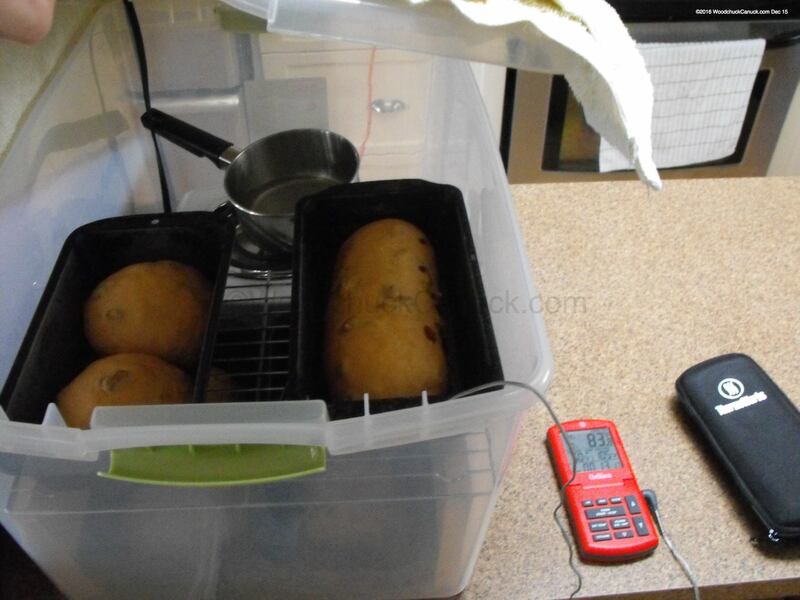 Time to proof the bread for about an hour and 30 minutes. At least that is what I time for white bread, so some adjusting may be required. 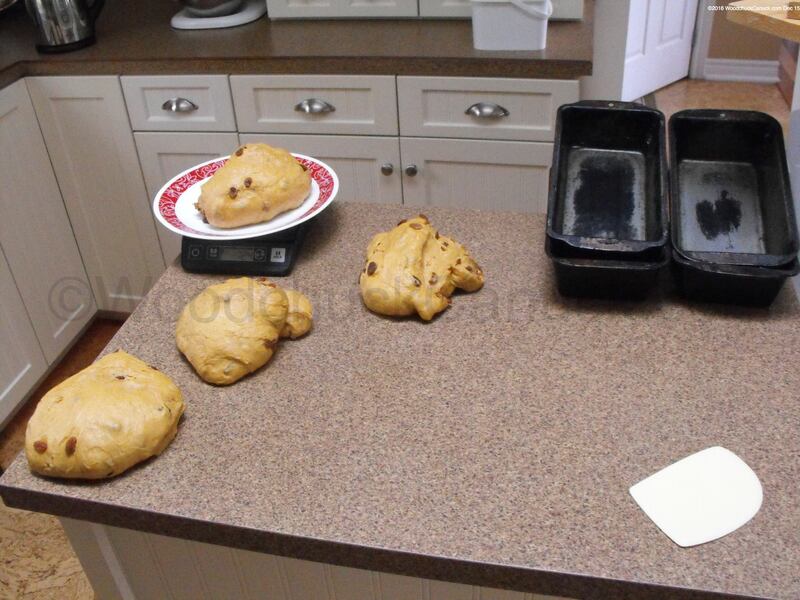 Raisin bread is now ready for the oven. 35 minutes later at 350ºF, this is the end result.